The history of the raw African black soap dated back to hundred years. Women of West Africa used to make a natural soap to clean their skin and hair. That was a vegetable-based soap which is getting much popular nowadays. Though western countries call it African black soap, locally this soap is called osedudu, sabulunsalo, alatasimena, and anago soap. Several formulas are applied to prepare this black soap. The core ingredients of this soap include plants like cocoa pods, plantain skins, palm tree leaves, or shea tree bark. Gathering plant it is kept under the open sky to sundry the plant. Then the plant is fried maintaining a consistent temperature to turn all plants into ashes. Water and fats such as coconut oil, palm oil, cocoa butter, shea butter, or kernel oil are added to the ash. Finally, consistent heat is given to solidify the mixture and turn it into soap. The soap is then stored for two weeks before scooping. Non comedogenic oils are pretty important skin care element. If you want to know about some of the best natural non comedogenic oils and benefits, you can follow our non comedogenic oils article to know detail about it. We hope, it will be enough to give you a complete guide. If you are searching for magical soap info only, please continue this article. 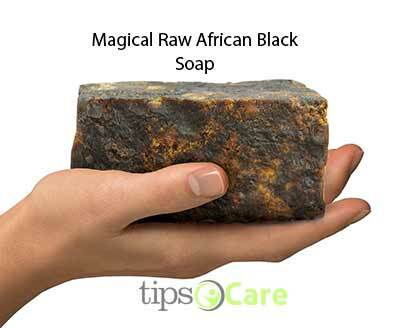 The core ingredient that is used in the Raw African Black Soap has a huge amount of benefits. Plantain peels are rife with Vitamin C, Antioxidants, Folic Acid, Potassium, Protein, thiamine, and riboflavin. Cocoa Pods or shells have strong antioxidants and anti-inflammatory properties. Palm Kernel Oil is a good source of fatty acids. Shea Butter also contains fatty acids which help to repair skin tissues and provide silky smooth skin. 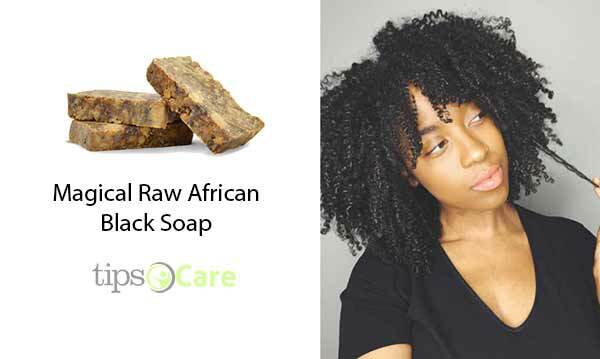 What are Benefits of Raw African Black Soap? Raw African Black Soap has many benefits for the skin. Below we have mentioned about some of these. It works as an effective topical and natural cleanser. It contains several moisturizers, so it can clean your body skin without stripping oils. The coconut oil and palm kernel oil creates a lather that contains lauric acid which is generally antimicrobial. It is good both for the oily and dry skin. The African black soap contains coconut oil which can counteract with the dry skins. On the other hand, its added moisture helps the oily skins to balance sebaceous gland. This soap contains fine particles of vegetables, so it works as an excellent exfoliator. It is a robust acne fighter. The soap contains coconut oil which is known as the acne fighter since it contains vitamin E, capric acid, and caprylic acid. Coconut oil balances the pH levels of the skin and removes inflammation. On the other hand, the soap is also made from palm oil which is rich in linoleic acid, oleic acid, and beta-carotene. Its anti-inflammatory properties provide essential nutrient for the skin which fights acne constantly. Both the plantain peels and cocoa pods are rich in antioxidants. Cocoa pods also contain catechins, tannins, and gallic acid, while plantain peels contain protocatechuic acid, quercetin, and rutin. The diverse mix of those ingredients helps to fight against wrinkles and signs of aging. The soap helps to even skin tone. Cocoa pods can fight against dark circles, spots, and discolored skin. It can inhibit with Tyrosinase which helps to regulate melanin that causes discolored skin. The Raw African Black Soap can treat the eczema symptoms including itchy, red, and dry skin. Red palm oil, shea butter, and coconut oil provide deep hydration that sooth pain and swelling caused by eczema. Though it is called black soap, it is not actually pure black. Based on the preparation method and used ingredients the soap’s color varies from deep black to light brown. Since the black soap contains plantain leaves ash, the longer the plantain mixture roasted, the darker the color will be. Moreover, different regions follow different methods, so the color variations occur. Some of us think that since the soup is black, then it is probably natural. So, there will be no benefit at all. Most of the African Black Soap comes in usual bar form. These bars contain pure natural ingredients. Moreover, some companies remold the black soap using almond oil, aloe leaf juice, or argan. Though the source of the black soup is reliable and trusted, sometimes some unnatural things are found in it. 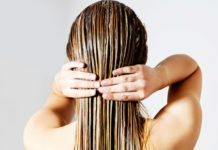 For example, recently an online customer complained that she had found hair in the soap. Really, it was a disgusting matter. Maybe it is a rare case for that particular brand, but it stops many potential customers to buy it. Actually, finding splintery wood pieces and tinny pebbles is apparently common, since the soap is made with natural ingredients. So, it is advised to all customers to get some real reviews before buying any black soap. Before buying any Raw African Black Soap you should check that it is free of artificial additives, preservatives, and it must be organic. Though its name is black soup, it is actually black. Most of the time it is brown in color, but it has an earthy scent. Sometimes it is packaged as a raw and unprocessed block, which you have to slice into bars. 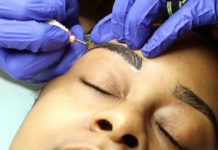 Since it is an unrefined product, some users report a stinging or burning sensation while them applying directly to the skin. In order to avoid such stinging sensation, you can cut the whole soap into small pieces and create lather. Since the Raw African Black Soap has skin nourishing benefits, you can try this soap undoubtedly. It contains antioxidants and other beneficial ingredients, so it is worth for at least a try.